Our product range includes a wide range of fiber laser marking machine, fiber laser welder machine and fiber laser machine. 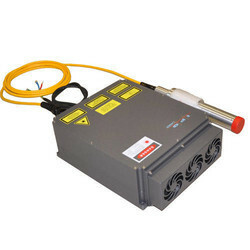 Industrial Fiber Laser Marker has the capability to hold both precise as well as Heavy load object for marking Motorized Z axis for easy focusing of objects. Application Jewellery industry, Auto industries etc. 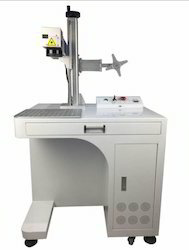 Fiber Delivery Laser welding and cutting system equipped with Lamp pump Laser source with Fiber delivery laser Transfer. The main focus of this kind of machine is where we need to transfer the laser but not the unit. The Fiber delivery is useful in Tool and Die making, Auto industries, heavy load objects need to be welded or cut, In Fiber Delivery we can choose our own worktable suits with us. 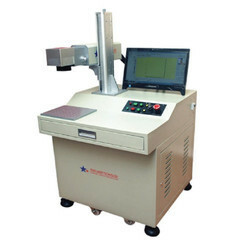 We are instrumental in offering the premium nature of Fiber Laser Machine to our regarded clients.